Designer Jason Wu has launched Velvet Rouge, a new fragrance for women. Velvet Rouge might be a flanker to his debut fragrance, 2017's Jason Wu Eau de Parfum. Jason Wu unveils Velvet Rouge, a seductive new tribute to femininity. Balancing between sensual and rich ingredients that entice the senses, Velvet Rouge embraces the sultry side of the Jason Wu woman. The faceted depth of incense, patchouli and golden amber is balanced by the open vibrancy of rose centifolia and peony for an opulent and voluptuous fragrance. 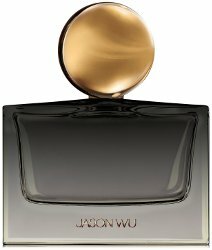 Jason Wu Velvet Rouge is available now at Macy's, $128 for 90 ml Eau de Parfum. It’s not a flanker. Designer companies are going the route of niche when it comes to bottles; they’re deciding to create a signature look and make their presence from recognition of design. Consider it like how Margiela has the replica line, Jo Malone has their design, Armani Privé has theirs and so on.